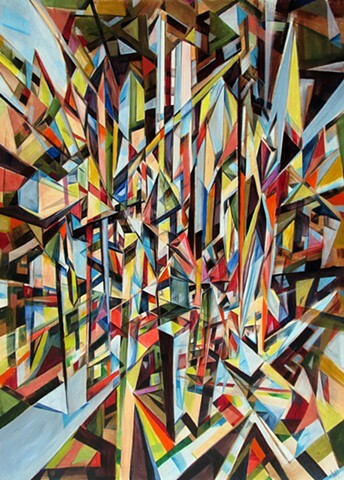 Three point perspectival elements organize the geometric complexities of the piece. The viewer is pulled in any number of directions at times feeling a worm's view, at other times a bird's. The space is hard to reconcile in this dynamic scene.